With the recent release of the Google Home Mini, Amazon now has ample competition in the mini smart speaker space. Both devices offer similar features and functionality. And with both coming in at under $50, they provide incredible value at the moment. The question is which one is worthy of being in your home? We’ve broken them down into a number of categories to help you determine whether the Amazon Echo Dot or the Google Home Mini is right for you. This might be the toughest category to judge because it comes down to form or function. The Google Home Mini is the better looking device. It’s fabric covered top is more discreet and has a modern look that blends into any decor. While the lights on top could be bigger, they don’t distract when being used. 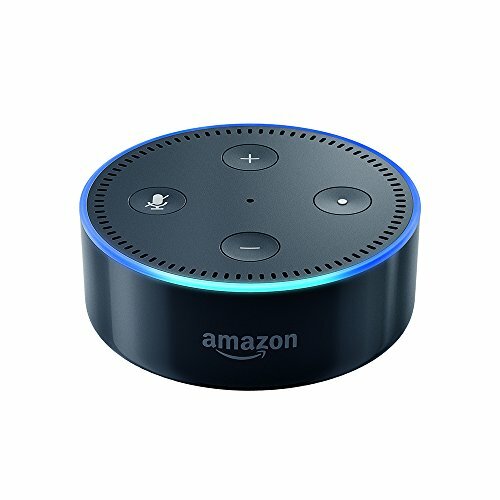 The Echo Dot on the other hand looks like a glossy hockey puck. The white version doesn’t have a white top and also doesn’t come with a white cable. And the Amazon logo emblazoned on the front is tacky. The LED light ring on top is attractive and does provide it with a futuristic feel. Still, from a looks standpoint, I’d rather have the Mini in my home. Functionality is the opposite. Amazon’s buttons are conveniently located on the top and easy to access. They offer a 3.5mm audio output in back to attach speakers or headphones. The Home Mini requires touching the sides which are too sensitive. You must also flip it on it’s back (which accidentally triggers the volume buttons) to reach the mute switch. The top button was deactivated due to privacy issues. And it doesn’t come with an audio output jack. While most of us will be using voice commands with our mini smart speakers, the Echo is far easier to physically control. The Google Home Mini sports a 1.57″ speaker driver while the Amazon Echo Dot features a 0.6″ speaker driver. The difference is dramatic as the Google Home Mini blows the Echo Dot out of the water here. The sound is much fuller and even offers up some bass. 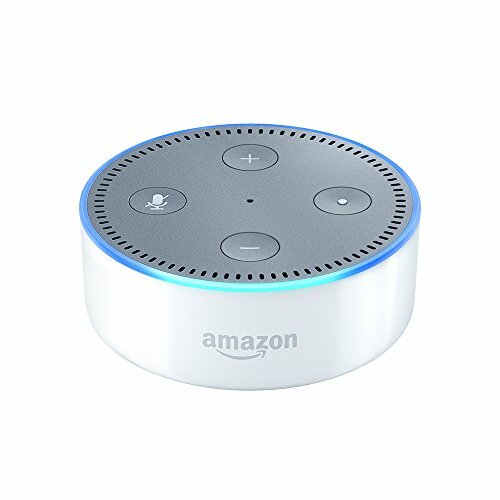 The Echo Dot on the other hand sounds tinny and has practically no bass. I’m not sure I’d use either if playing music was my priority, but the Home Mini can at least be used in smaller to medium sized rooms. Amazon states they use seven far-field microphones to Google’s two. While you’d think this would give the Echo Dot a big advantage, it was much closer than we thought. Both devices could decipher commands at up to 25 feet away with relative ease. Both could spot my voice even with music playing in the room. The Echo Dot however was a bit better when speaking at a lower volume. It’s really close though and I wouldn’t use the microphone capabilities as a deciding factor. The Google Assistant can answer a ton of general questions and even allows for follow-ups. It clearly benefits from having the best search engine on the planet backing it up. It can even decipher between voices easily so that multiple people in a household can set up services without conflicts. And if you are using Google products like Gmail, Calendar, Allo, Maps, and so on, the Assistant will work even better managing your daily life. Amazon’s Alexa is no slouch but just can’t keep up with Google’s vast knowledge. It’s also tough to see it ever catching up as long as the Google Assistant can access it’s search engine for answers. A two year head start in the smart speaker industry has given Amazon a big edge in what products and services are compatible. They boast thousands of compatible products from name brands like Philips, Nest, and Ring all the way down to cheap off-brand devices. Their “skills” section is deep with music services, news outlets, voice shopping, and some fun games. With their open API and considerable market share lead, companies are likely going to start with the Amazon Echo line first. While not as deep as Amazon, Google is no slouch. Most major companies are compatible and those that aren’t will be soon. Still, if controlling devices in your house is your primary reason for buying a smart speaker, Amazon is the better bet now and going forward. Both devices sync up with popular music services such as Spotify, Pandora, iHeartRadio, and TuneIn. The Echo Dot has SiriusXM and their own Amazon Music service. The Home Mini has Google Play Music and YouTube Music. One area that might swing the vote for music fans is the ability to add external speakers to your Echo Dot. The 3.5mm audio output jack allows you to plug speakers or headphones in directly or you can connect through Bluetooth. Google unfortunately does not have either. You can connect your Home Mini to speakers that are Cast-enabled or with a Google Cast for Audio dongle ($30). When it comes to movies and TV, the Home Mini has a clear advantage thanks to the Chromecast. You can stream Netflix, CBS All Access, Crackle, YouTube, and more with voice commands. There are limitations in what you can do though. You can’t pick out specific episodes for TV shows on Netflix for instance. But they do let you play, pause, turn on subtitles, and some other commands. It is nice to pause Netflix with your voice when you get up for a snack break without having to fumble around with the remote. Despite their differences, both are great devices for your home. The ongoing price battle between Google and Amazon has been a boon for consumers as these mini smart speakers get marked down to under $30 at times. If I had to pick a winner between the two, I’d go with the Amazon Echo Dot at this time. The areas it’s weakest in can be remedied. Syncing better speakers through the audio jack or Bluetooth overcomes the poor speaker the Echo Dot comes with. The lackluster look can be fixed through the numerous covers being sold online. And that leaves the only real advantage left for the Google Home Mini is it’s incredibly knowledgeable voice assistant. A nice tool to have, but not something I don’t see using too often. What it comes down to with the mini smart speakers is compatibility. Which device lets me hook up to the most products and which device offers the most services. That’s Amazon by a decent margin at this time. And with that, I’d pick the Amazon Echo Dot, although there is no shame in going with the Google Home Mini (or both).